One of the lighter soundtracks we've ever heard from Francesco De Masi – scored for an equally lighthearted film about a bunch of kids off on adventure – all given a nice soundtrack that's both playful and lively, but without ever sounding too sentimental! 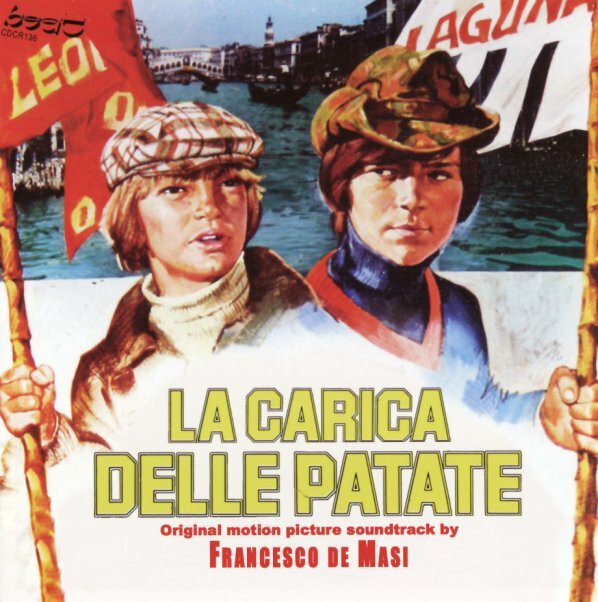 The style here is more late 60s kid comedy than you'd guess from the date, with orchestrations to match – and titles include "Il Vecchio E Il Gatto", "Agente Segreto", "Grandi Manovre", and "Top Secret Operazione Patate". CD also features 13 bonus tracks too! © 1996-2019, Dusty Groove, Inc.